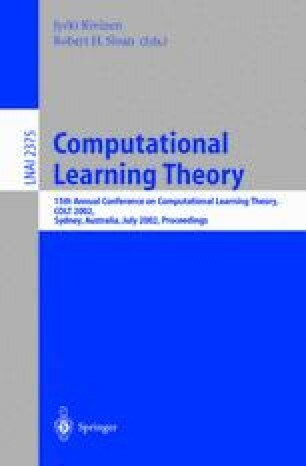 The probability of error of classification methods based on convex combinations of simple base classifiers by “boosting” algorithms is investigated. The main result of the paper is that certain regularized boosting algorithms provide Bayes-risk consistent classifiers under the only assumption that the Bayes classifier may be approximated by a convex combination of the base classifiers. Non-asymptotic distribution-free bounds are also developed which offer interesting new insight into how boosting works and help explain their success in practical classification problems. The work of the second author was supported by a Marie Curie Fellowship of the European Community ”Improving Human Potential” programme under contract number HPMFCT-2000-00667.